I was wondering at the weekend, while on a silver jewellery course, do I need another craft or hobby? The answer should probably be no but I can’t stop making things! I find it fascinating finding out about new crafts to do and make, especially if they have an ancient basis. I have long wanted to do some jewellery making; I dabbled in beading to make my jewellery for my wedding. But I wanted to learn how to do it properly. 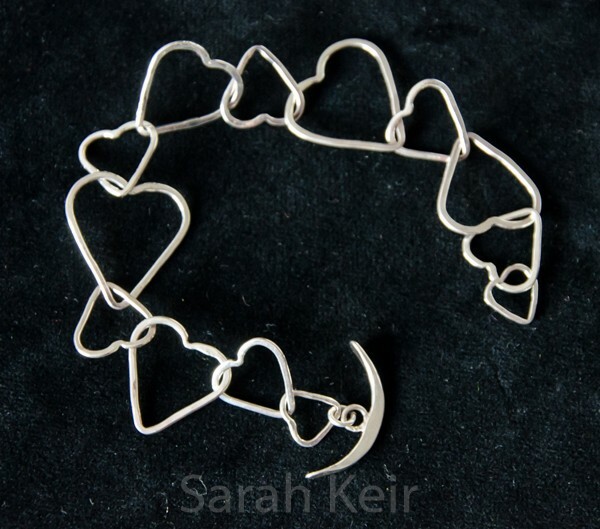 So I spent this past weekend on a silver jewellery making course with Stephen O’Keeffe at Missenden Abbey. I can highly recommend this course and the sketching with water colours I did last year; in fact, probably any of their courses would be great fun to do and I circled at least half a dozen in the brochure. The sad thing is I have just received an email saying that they are closing down and this is the last year they are running courses. Very sad, but then they are not advertising properly or to the right people. This is the silver bracelet that I spent most of the weekend making. Can you believe it is made only from silver wire? To make this the wire had to be soldered into rings, linking them together as I went along, and then they were shaped on molds (different sized bolts) – this was the most delicate bit and I snapped a couple of the hearts when trying to get a nice sharp shape. Finally I made the toggle catch – it looks like a ships anchor! 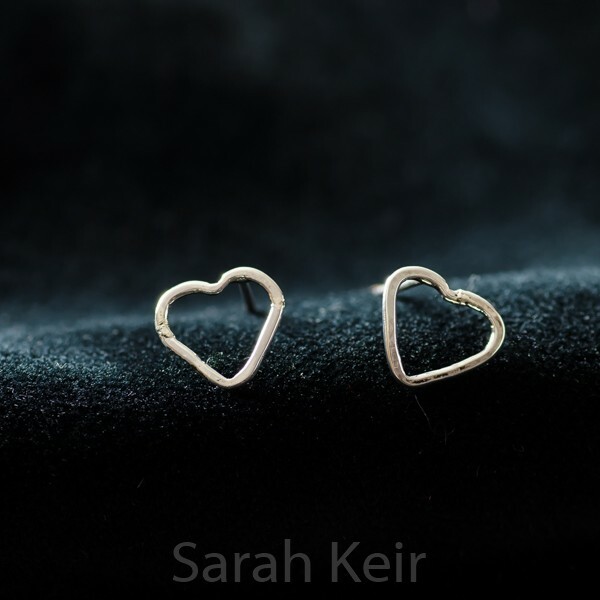 Actually the mini heart earrings I made to go with it are even harder to make and fiddly – I nearly melted them while joining on the backs! 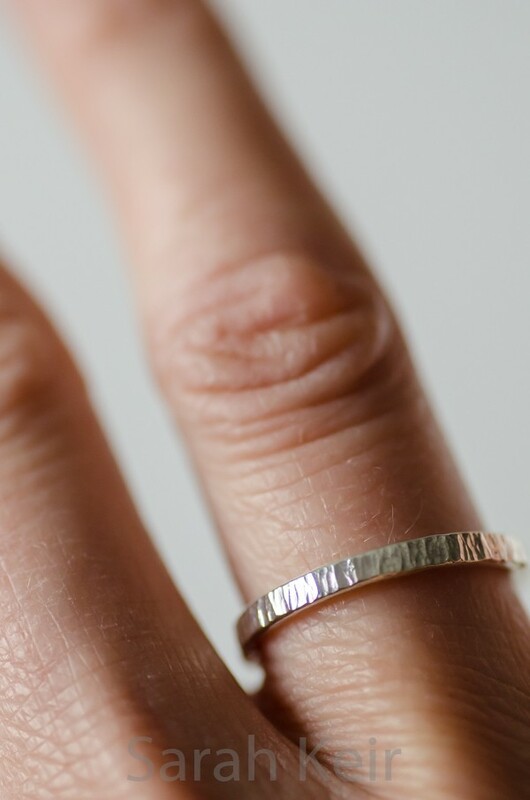 Our first project was a ring which is actually surprisingly easy to make but with my thin fingers, the ring had not been hammered to proper thickness and pattern all the way round before it was already too big. 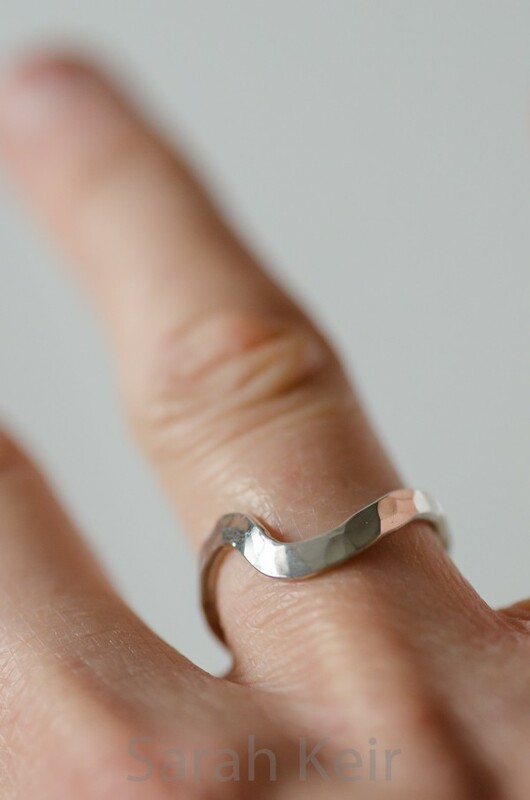 So the kink was put in which actually means it sits better on my finger. I don’t think I could be a hand model though!